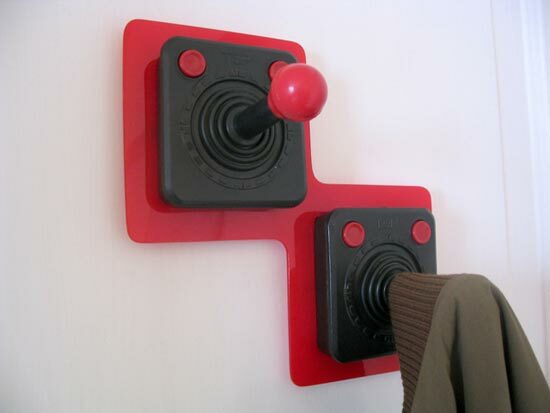 Here’s a fun geeky accessory for gaming fans and an ideal addition to any geeks apartment, the Joystick Coat Hooks. An eco oriented product using the concept of the objects re-use. It`s shape gives the possibility to be placed in different positions. These fun coat hooks were designed by Felipe Morales, there is no word on whether they will go into production or not at the moment. Lets hope that someone decides to make them as they would look really cool in your geeky apartment or house or even your geeky office. As soon as we get some more details on whether these will become an actual product, we will let you guys know.